Hitoshura has translated this monster of an interview with Tetsuya Nomura, from the Dissidia Final Fantasy Ultimania. Enjoy reading about the creation and designs of Dissidia! — Just as many titles have been started in the past based on your ideas, I’ve heard that the Dissidia project was another that began as one of your ideas. What kind of idea was it? Nomura: It started when we were making ‘Kingdom Hearts (KH)’. I thought it would be fun to fight against others in Traverse Town (a large city which serves as a base for the main character’s adventure). But for various reasons we couldn’t have that in the KH series. Even so, I still held on to that desire to have competitive battles on a 3D field like that, and started to think that if we used do it with KH, we could use the FF characters who appeared in KH. And for several years since, I had been thinking of this project for an action game: taking characters from each numbered FF game, each using their own unique gameplay system from those games, and being able to freely move around a 3D environment while using obstacles. So with that, just as I was thinking it was about time to get this started, the younger staff including Takahashi (Mitsunori Takahashi: planning director) came to me and said they’d like to be given a project, and that they’d like me to direct. I told them that I’d give them a project, but would they try doing it, including the direction, themselves. — Since Mr. Takahashi was original in the KH team, did you guess that the development of a game applying the KH gameplay system would go smoothly, then? Nomura: Yeah. They had only worked on two title previous to that, and truthfully it was still too soon to put a title in his hands. Creatively they are excellent, but if they were to take the lead role in producing a game, I wanted them to realize the importance of managing a team. I thought that with me as director, they wouldn’t have had that growth, so I decide to step aside. However, I couldn’t just let them fail, and wanted them to experience success at the end of the struggle, so rather than making a new RPG from scratch, I thought that this project would be best, as it saves on the amount of resources outside of the battle system while allowing them to make use of their knowledge from KH. It was also just in time for FF’s 20th anniversary, and by using the FF characters I wanted to have them feel a sense of responsibility. — Having the weight of 20 years of FF history must have been a heavy responsibility for the young staff. Nomura: At first it didn’t really seem to click with them, but when we started making it they seemed to get that they had been given something very big. — I heard that in the planning stages you chose the 20 FF characters, and that they were used pretty much as you selected, but how did you make the choices? 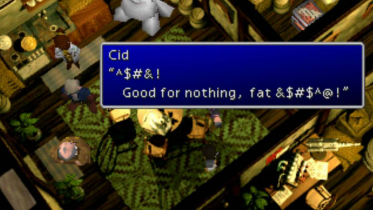 — In, for example, FFVI, there were a lot of characters who fit the role of main character. Did you have trouble deciding who to pick? Nomura: If it weren’t Terra, then there would be no female characters on the Cosmos team. I was also a member of the production team for FFVI, and based on my feelings from that time I thought it had to be Terra. She’s on the cover image, and Terra appeared in the advert, so really I didn’t have a reason not to choose her. — Like how you took Kuja rather than Necron from FFIX, the characters of the Chaos side were not limited to those game’s final bosses, were they? Nomura: If we stick exactly to final bosses, we’d get characters such as FFX’s Yu Yevon. Characters who it would be difficult to give much personality to, or whose design doesn’t fit in with a fighting game. So I thought that it would be better to take characters with a rivalry, or with strong connections. Also, I personally really wanted to have Kain in the game. Originally we planned to have about 5 hidden characters, and even as that number started to shrink, Kain remained a candidate right to the end. When it was finally decided to cut him I said, “for FFIV’s Chaos character wouldn’t Kain and not Golbez be fine?” But we had to think of the balance with the other titles, and he was cut. — In the end hidden characters from FFXI and FFXII appear, but were you involved in selecting them? Nomura: I don’t have that deep a knowledge about all of FFXI’s characters, so all I said was basically, “in terms of popularity, the Tarutaru are popular, right? And Shantotto seemed like a popular character?” When it came to finally deciding on who it would be, it was down to Shantotto and Prishe, but I basically left it to the development team. As for FFXII, the other staff recommended Balthier, and it seems like they kept talking it over with each other. “Vaan’s the main character, isn’t he? No, Balthier would be better.” In the end they decided that Balthier appearing again, after having just appeared in “FF Tactics: War of the Lions”, wouldn’t be much of a surprise. And the FFXI and FFXII characters are treated as guest characters, so it was settled on that we’d move away from the main character types this time, and finally it went to Gabranth, who had an impact being in the logo for FFXII. Also, we’d wanted to include Lightning from FFXIII, but its staff thought that it wouldn’t be a good idea to reveal the abilities she uses in FFXIII here first, so we gave up on having her in the game. — You also worked on the character illustrations for Dissida, which caused quite a reaction at first, didn’t they. Nomura: Although this game is a Final Fantasy installment it’s not an RPG, so I was expecting a more somber response, but the responses from the fans was a lot more enthusiastic than I expected. The images we revealed first of Warrior of Light and Zidane were drawn in a lot of detail, so after that I couldn’t get lazy with any of the other images (laugh). The characters from the FF series have been drawn by several people including myself, but I want to have all the characters together drawn in the same style, so I took care to give them a sense of unity. — It was very interesting to see how you would draw the main characters of the games which you weren’t involved with, like FFIX’s Zidane. Nomura: FFIX’s illustrations were surprisingly trouble-free, actually. It was easy to imagine, this is how I’d draw them. Maybe because I used to do the job of converting Mr. Amano (Yoshitaka Amano)’s designs to pixel images, but with these illustrations as well I drew them believing that I could combine recreating the originals and having a unique identity. Thinking about it later, it wouldn’t have been strange if the fans had been more opposed to them, but I’m relived that they seemed to have accepted them. — With FFI or the original version of FFIII, because of the nature of the games the characters’ names and personalities weren’t set out, did you have any difficulties when making the pictures for them? 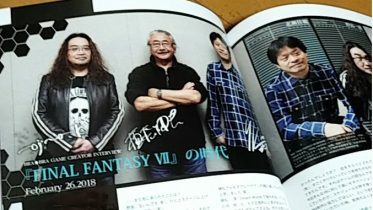 Nomura: For FFI, there was several pictures from which I could form an image, so I was able to draw those without much trouble. But I had quite a hard time with Onion Knight. From the start I was working with the plan of having a cartoony Onion Knight, but in the first image I drew it was too cartoony. As I finished the other characters’ images it felt out of place, so for a time I decided to use a style like the one on FFIII’s cover and redrew it. But then the key visuals that we’d asked Mr. Amano for at the start of production were completed, and when I say the cartoony Onion Knight there I though I go in this direction as well, and found a balance for the design with the rest of the characters. — Were there any particularly hard times when drawing the illustrations for the Chaos side? Nomura: I didn’t really have much trouble with the Chaos characters. 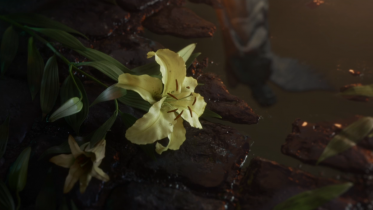 But for Garland the only references we had were pixel images, so that was a problem. There was a super-deformed illustration drawn by one of our designers for the GameBoy Advance remake, but this was the first time he was being drawn with the intention of recreating that within the game, so in that sense he was like a new character. But it was hard to have to give him a presence, like he’s always been around. But it was worth the trouble and I was able to draw him without any sense of not fitting in as a character from FFI, so I’m fond of Garland. — The Cloud of Darkness is another character who has quite an impact. 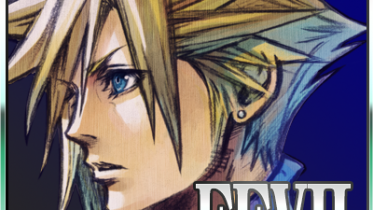 Nomura: For the Cloud of Darkness, I drew her exactly like Mr. Amano’s FFIII illustration. When I joined this company, I was flipping through some of the many the strategy guide that were around, and there was Mr. Amano’s drawing of Cloud of Darkness. At first, I didn’t know how it was so I asked one of my co-workers. He told me, that’s the Cloud of Darkness, and I thought to myself, it’s nothing like the one in the game! Why didn’t they just use it in the game exactly like that? So I decided to use that design someday. — How did you go about casting the voice actors? 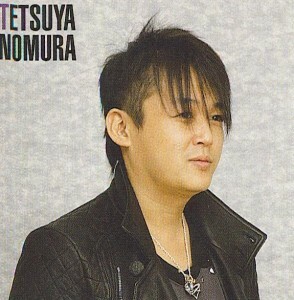 Nomura: For the titles I directed or produced I basically choose the actors, while asking the staff what they think. I always match them with the image I had in mind while designing, and it goes relatively smoothly. But this time, there’s a lot of characters I hadn’t originally worked on, and I think the gamers each have their own images of them, so there were a lot of times we struggled with casting. Especially FFI through FFIII, which I not only had nothing hand in the production of, but there’s also little concrete character portrayals to draw on for an image of the voices, so I had them let me select voices which matched the image for the illustrations I drew for this game. On the other hand, FFIX’s Zidane and Kuja were the ones I had the most trouble with. They do have tangible personalities, but I wasn’t involved in it, so I selected from several candidates for the actors the staff suggested. — Do you know a lot about voice actors, Mr. Nomura? Nomura: Since I started doing casting work myself, I think I’ve gotten familiar with them to a degree. However, I don’t really know much about voice actors from recent anime series… as you can see if you look at the choices I made this time (laugh). — When recording the voices, do you give any instructions to the actors about their performances? Nomura: I don’t usually give the actors direct instructions. Since KH, we usually hire outside voice directors who work on dubbing foreign films, and it usually takes the form of me giving that person various requests and explanations, and they give instruction for the performances directly to the actors based on that. However, even for the titles where I’m only in charge of the character design, I always attend the very first voice recording, when we’re building the characters, and decide what direction to go in after having the actors try out several different styles. — Speaking of voices, during the cutscene where Terra and Kefka fight, you can hear Kefka shouting out “Pike! Yellowtail!” as he attacks. Nomura: That was Mr. Chiba (Shigeru Chiba: Kefka’s voice actor) ad-libbing. From what I’ve heard from the other actors, Mr. Chiba occasionally does seafood-related ad-libs when shouting (laughs). — Before you said that you took a step back so the younger staff could grow, but how specifically were you involved in this project, Mr. Nomura? 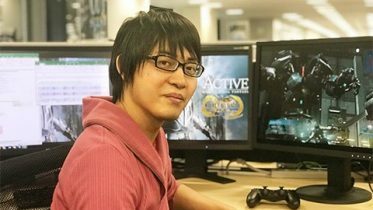 Nomura: Up until the basic elements of the game such as the project and direction were settled on, there were a lot of meetings and the work of confirming everything carried on, but after actual production began I stepped aside and basically acted as a consultant when anyone needed it. I handed over the project book, which was the start of everything, and left how they interpreted and expanded on that up to them. The original plan as the tentative title of ‘Shade Theory’, and a remnant of that title remained until the end stages of development as a name of a mode in the game. — Were there any instructions you gave for them to keep a check on anything , when making a game in the fighting genre? Nomura: I didn’t really give them any specific instructions, but before the basics were finalised there were several course changes. For example, at first there was a proposal of having absolutely no health gauges or numbers on screen, but I opposed that. I convinced them, saying that you wouldn’t be able to tell how much damage you or the enemy were doing, and tactics-wise one of the fun things is when you were just 1 damage point away from winning. Also someone said that the abilities should only be majors ones, and wanted to get rid of the lesser abilities, so I said that it would be bland that way. I said to them at linking smaller attacks together, landing several hits and then when you’ve made an opening finish them with a single hit is one of the fun things about fighting games. — What was your responses when it was almost complete? Nomura: I didn’t expect it to have this much in it. They worked hard right up to the deadline, and I think they’ve made something that the players will really enjoy. The first project I was given charge of was KH, and the fact that the whole team were able to focus and succeeded has had a major influence on their game production after that. Similarly, I think Arakawa’s (Takeshi Arakawa: Senior Director) experience on “The World Ends With You” had a good effect on Dissida. And for Dissidia’s staff as well, I believe that the experience gained from this game will be a boon for them when making a different title in the future. — With Dissidia’s good sales and critical reception so far, I’m looking forward to a sequel. — But you do have some concrete ideas you’re working around in your mind, right? Nomura: Well, if we did a sequel I think Kain is definitely in (laughs). I’ve got a lot of interesting ideas, but as far as the situation goes actually going ahead with the project would be tricky… If there were enough demand for a Dissidia II, the situation might change, so I think I’d like to rethink it at that time. Reason: I like long-range attacks. Terra can use a lot of magic attacks, but I’m particularly fond of “Tornado”, so I use it over and over. The images on the “Dissidia FF Potion” cans of Terra and Bartz are the ones from before they were finalized. With Bartz, his height is just different so it’s hard to tell, but for Terra I later redrew her face, so it’s completely different. Amazing, hitoshura. Great work! I don’t even want to think about how much time that must have taken. Everything Nomura had to say about this was interesting. Strangely, even though he doesn’t say the slightest thing about the story, I’m not disappointed. What he did talk about was all very intriguing. Just getting the insight into all that was very satisfying. If I had to pick one thing as the best detail gained, it would either be that the characters who made the final cut had been selected from the beginning, or maybe the part where he talked about convincing the team to keep HP gauges and an assortment of major and smaller moves. Hard to imagine the game without those things. Wow, thanks for all the hard-work you put into this to let us all enjoy this interesting read. Kain is one of my favorite characters too, and I was shocked to know that he was liked so much. He was so close to being included- it’s such a shame that he had to be cut. T^T And, at least I got my answer as to why Terra was chosen over Celes- reading the interview made me see why Terra is more of the choice. She had the bigger conflict, along with her being part esper. This interview makes me very pleased! It’s too bad Balthier was left out in the end, I would have preferred him to Gabranth any day, haha. In regards to Balthier, he’d be pretty cool, but he doesn’t seem like he’d make all that much sense. All he has is a sharp wit and an old-style rifle, and he’s supposed to go up against people with swords bigger than their bodies, and freaky, magic powers? Yeah, I’m not buyin’ it. Plus, the whole story revolves around arch-enemies. Balthier just had that Bangaa bounty hunter with the chainsaw spear thing, and can you really see him being turned into a major character? Ultimately, I agree with his decision on the moves and the HP bars, but if they would have found another way to show damage on the characters themselves, that would have probably been a more interesting gameplay element. I mean, really, if you break your leg, a red “-240 HP” doesn’t come out of it, does it? I think an alternate method could potentially be more interesting, and make the combat feel more like combat, and less like a math quiz. But, at present, that’s probably too ambitious a goal. For one thing, will characters like Kefka and Sephiroth get proper justice done to them? I mean, Sephiroth’s supposed to be the strongest being on Gaia, and Kefka literally BECAME A GOD. It’d be pretty lame if they followed the typical fighting game mold of just being virtually a graphic swap of all the other characters, with abilities that do the exact same things. I’m not saying that they should be unbeatable, but if the characters had marked differences, it wouldn’t really matter if one was a little stronger or faster than the others, just so long as it all balanced it out in the end. Secondly, as I said, I REALLY hope that all of the other characters don’t end up being the same thing, but in a different package. I mean, they’re practically (if not) all sword-wielders, so that alone rings some alarm bells. And am I the only one wishing they’d have picked some popular spin-off characters, as well? Ramza could go toe-to-toe with Cloud, any day, and Vincent had FIVE arch-enemies, six if you count Hojo! Well Dissidia does a great job a differentiating the characters based on their unique strengths and talents. One thing you really don’t have to worry about is characters feeling like clones of each other or having the same moveset. 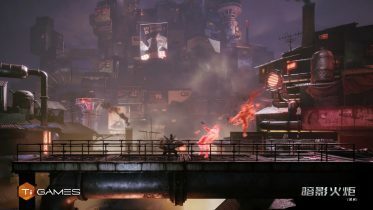 Each character has their own unique way of fighting and gaining advantage in fights, and the fun is trying to utilize those unique elements. And yeah, I wish Ramza or someone else from Ivalice was in Dissidia. Hopefully if there’s a sequel, that’ll be rectified. Much appreciated for translating all that definitely made for a good read. It’s always interesting to see the designers original intents and I also learned that Nomura and I share the same favourite character. Hooray! As much as I liked Balthier I’m glad they gave his place to Gabranth, a lot more unexpected and original.